Finest audiologist in Sierra Vista. Have been dealing with this company for over fifteen years. First my father and secondly my mother and now myself. Still servicing my 101 year old mother’s hearing aids. No high pressure sales, just a free audio exam and detailed discussion of results and what they mean. They market many different brands of hearing aids and can compare the different types as to which one best meet your needs. Many different pricing options to fit your budget. One thing to look for when purchasing hearing aids is to make sure that the manufacturer does not have proprietary programming software. I ran into this difficulty with my father as well as my mother. The representative of their manufacturer closed up and moved out of town. 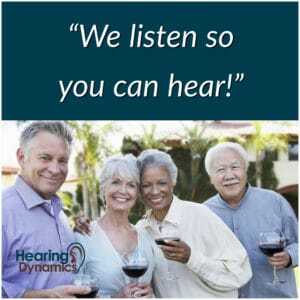 Their hearing aid software was proprietary and no other audiologist in town could adjust them. We were forced to drive to Tucson and find a representative who could do that. Quite an inconvenience. I had a hearing evaluation today, 15 June 18, and when given options as to what type would best meet my budget and requirements I asked about the proprietary software issue that I had run into with my parents. I was assured that all six manufacturers that they carried did not have proprietary software. If you move away, you can still have a better choice of audiologists for adjustments. I took the time to discuss this issue as I encountered it with both my mother and father!